We recently wrote about the causes, signs and fixes of damaged hair (check out ‘How to care for damaged hair’). Today’s post is an extension of our earlier advice based on the experience of someone who suffered bleach-ravaged hair and recovered it back to health. You see, we found this story on the www.rocknrollbride.com website. The author, Kat, has striking pink hair with purple roots in a beautiful ombre effect. Two years prior to penning her blog post, though, was a different story altogether. Due to hairdresser negligence, where bleach had been applied carelessly and overlapped, Kat’s hair was stretchy when wet, and straw-like and thin when dry. Restore the protein: With chemically damaged hair, protein is degraded. To repair the outer layer and put the protein back into your hair, use protein-rich shampoo, conditioner and treatments. Once the restoration is complete, switch back to your normal hair products as too much protein in your hair isn’t great either. Moisturise your hair: On top of your high-protein hair diet, give it a moisture injection using hydrating products such as argan oil-based deep conditioning treatments. This will help combat brittleness and breakage. Take fish oil supplements: The omega-3 fatty acids in fish oils can nourish your scalp, thicken hair strands and encourage new growth. As with all tablets, however, it’s best checking with your doctor first in order to get the right dosage and minimise possible side effects. Wear clip-in extensions: Why not invest in some natural clip-in extensions and dye them to match your hair colour? This can give your own hair a break and present the appearance of thicker, healthier and stronger hair during the recovery phase. Be patient: The best thing you can do is allow plenty of time. There’s no overnight rescue. With patience and persistence, you’ll notice big changes to the health of your hair and scalp over a lengthier timeframe. Unfortunately Kat’s sorry tale was the result of bad hairdressing. If the same fate befalls you, don’t suffer in silence. Instruct our expert legal team who are specialists in claims against hairdressers so you can be compensated accordingly. 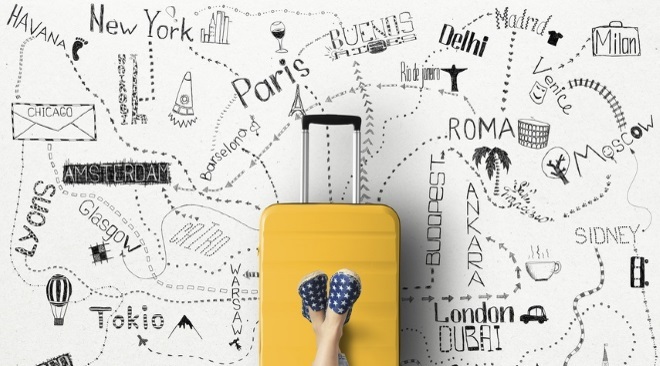 We operate in the strictest of confidence and focus on the best outcome for you always. To contact our legal team, email enquiries@hairdressingclaims.co.uk, call 0800 970 9102 from a landline for free, telephone 0333 202 6560 from a mobile or complete our online enquiry form. Veganism is growing in the UK. Recent Vegan Society figures report over 540,000 British dietary vegans and 360,000 lifestyle vegans. The former are people following a diet which excludes meat, fish, dairy and eggs. The latter comprise individuals choosing animal-product-free cosmetics and clothes too. Now a salon in Waterlooville, Hampshire, has become the latest hairdresser’s to extend veganism to hair care by preparing and applying vegan dyes, shampoos and conditioners. Sitting above a vegan café, owner, Claire Alker, uses kitchen scraps in her recipes. In a video on the BBC website, Claire can be seen concocting a red hair dye from beetroot, banana and maple syrup. She also explains how organic hairdressing isn’t an entirely new concept as those living in the post-war years had to make use of the limited range of products available to them. 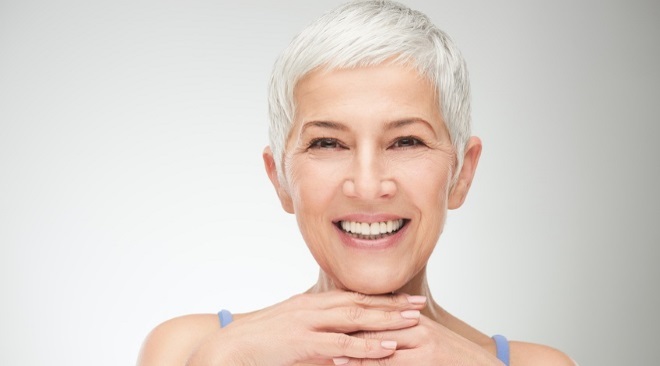 This holistic approach to hairdressing is becoming increasingly popular because health-conscious and eco-aware consumers are actively deciding to avoid hair products containing chemicals and instead opt for items labelled ‘natural’ and ‘organic’. This is both kinder to your hair which can suffer harm from over-use of chemicals and kinder to the environment because there are no pollution side effects. We’ve written about the impact of chemicals on hair previously. Check out our earlier blogs titled ‘What does over processed hair look like?’ and ‘Be careful of over bleaching’. We’d urge applying caution at all times and checking ingredients always, even with organic hair care solutions, whether you’re undergoing a salon treatment or buying over the counter for home usage. Just having ‘organic’ on the label doesn’t necessarily mean there are no harmful chemicals in the ingredients. At Hairdressing Claims, we frequently help people who’ve experienced damage to their hair and scalp at the hairdresser’s. To contact our legal team, email enquiries@hairdressingclaims.co.uk, call 0800 970 9102 from a landline for free, phone 0333 202 6560 from a mobile or complete our online enquiry form. If you subject your hair to strong chemicals, excessive heat, over styling and a myriad of other harmful forces, it’s practically impossible to avoid damage in some form or another. The easiest way to revive your hair is to cut off the damaged areas. Depending upon the level of damage sustained, though, this can amount to a substantial length which is heart-breaking if you love your hair just the way it is. Before you resort to drastic measures and get out your hair shears or book a hairdressing appointment, we’re here to help you out with some handy tips about alternative, less radical methods of repairing dry, brittle, porous, lifeless hair. As part-and-parcel of this advice, we also explain the causes and signs of damaged hair so you can try to steer clear of harm in the first place and identify symptoms on your own hair respectively. Bleaching and dyeing: Chemicals are present in most hair colouring treatments, some stronger than others. Bleaching is, by far, the most harmful because it raises the cuticle and removes the colour pigment from the shaft. Your hair becomes weakened as a result. Although less severe, hair dyeing isn’t totally harmless either. The aim of hair dye is to make your hair shaft porous in order to take on board the new colour. Your hair’s natural protective layer is stripped away, leaving your hair exposed. Perming and straightening: With these procedures, you’re altering your hair structure to make it either curly or straight by applying chemicals that break then re-join the bonds in your hair. To change the properties of your hair, these chemicals go right into your cuticles which can be harsh. Over styling: Brushing your hair too often, tying your hair up all the time and using too many hair accessories is bad news for your hair as well. Similarly, shampooing your hair more than needed gets rid of your hair’s natural oils. Heat is equally detrimental to your hair by opening up your cuticles, drying up moisture and damaging your hair shaft. It’s hairdryers, curling irons and flat irons that are to blame. External forces: The sun, wind and cold have an adverse effect on your tresses. Other environmental factors play a part too. Think sand when you’re beachside, air pollution in the city, chlorine in the swimming pool and multiple other scenarios. If your hair isn’t adequately protected when it comes into contact with these forces, it’s in big trouble. Bad hairdressing: If your hairdresser’s negligent and fails to perform pre-tests prior to chemical treatments, over heats sections of your hair during styling and / or uses blunt scissors, your hair and scalp are in peril. We’ve written about this previously. Access our earlier blog post here. Rough texture: The easiest way to know if your hair’s damaged is to hold it upside down and run the ends through your fingers. Does it feel rough to touch? Dulled shine: Your hair shaft stops shining when your cuticles are damaged. Does your hair lack lustre and shine even after deep conditioning? Split ends: Take a bit of your hair and gently twist it. Look carefully at the ends of hair that stick out. Are the ends split in two? Lack of moisture: Damaged hair does not seem to be conditioned, no matter what you try which is a sure sign of damaged cuticles that are unable to seal in moisture. Easy breakage: The tensile strength of your hair shaft reduces when the outer layer is damaged. 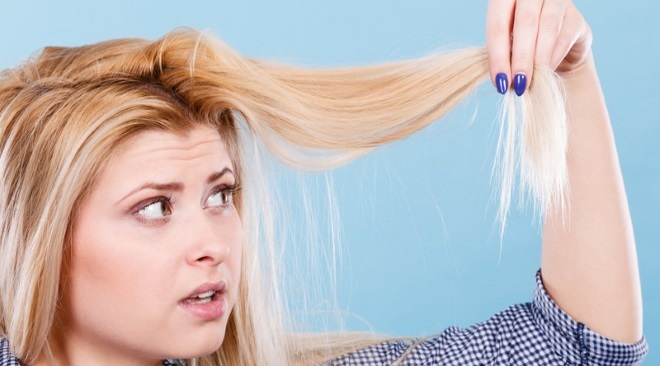 Does your hair snap when you comb it or, worse still, if you run your fingers through it? High porosity: As the cuticle is lifted, it’s much easier for moisture to pass. External moisture collects in the hair shaft and it starts to swell which gives your hair a frizzy appearance. Too many tangles: Unlike healthy hair where the shafts are smooth, the rough cuticles of damaged hair get tangled up and result in knots. The dryness makes it hard to get these tangles out. Avoid chemicals: These are your hair’s worst enemy. Do not use when your hair’s damaged. Approach with caution when your hair’s recovered. Choose solutions with only natural ingredients where possible. Avoid hot styling tools: Put away your high heat-emitting styling products, let your hair dry naturally and try out styles that don’t require heat. It’s au naturel all the way. Protect your hair: If it’s simply not possible to relinquish your hot styling equipment, make sure you use heat protection spray. In the same vein, you can’t live your life indoors, so use hats, scarves, swimming caps, leave-in conditioners or whatever the occasion demands in an attempt to be kinder to your hair. Spot the warning signs early: The sooner you identify hair damage, the earlier you can start taking restorative action. Hair can be nourished back to health with oils and deep conditioners. Again, natural ingredients are best. If you’re late to notice damage, it’ll soon spread and, at this stage, you’ve got no option but get an acute haircut. Get a trim: Even if your hair damage isn’t extensive, it’s a good idea to kick off the hair revival process with a trim to tidy things up. This will at least remove the sections of hair that take the strain the most: your ends. Choose lightweight shampoos and conditioners: Opt for sulphate-and-other-chemical-free products with moisturising formulas that suit your hair type. It’s important to make the right choices as you’ll no doubt wash your hair at least twice weekly. 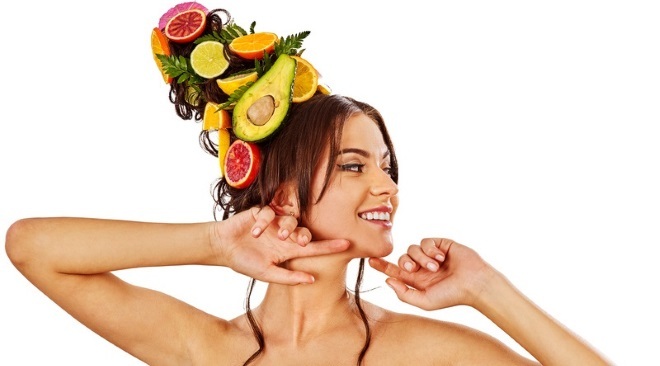 Maintain a healthy lifestyle: Consume protein-rich foods to nourish your hair back to health. The saying ‘you are what you eat’ is true. Eat a balanced diet generally and take regular exercise. When you’re feeling healthier and fitter, your hair will look stronger too. Instruct a reputable hairdresser: Hair treatments should almost always be done professionally for a greater chance of success. Your hairdresser must be properly qualified, have insurance in place and use top notch products to keep your hair out of the danger zone. Don’t be afraid to ask. Your hair’s at stake. At Hairdressing Claims, we regularly encounter clients who’ve suffered hair damage, hair breakage, scalp burns and scalp blisters due to lack of care on the part of their hairdresser. If you find yourself in this distressing situation, please contact our legal team in complete confidence and take the first step towards claiming compensation for harm caused. Yikes, Christmas is only 8 days away! 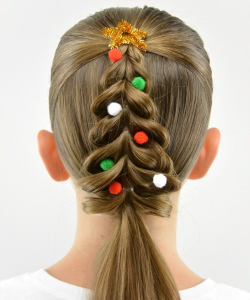 We’re here with some much-needed inspiration for perfect hair this festive season. As a different take on last year’s Christmas tips whereby we offered advice on up-dos, dye colours, accessories, loose-dos and male grooming for party-ready hair, this year we’re encouraging you to go crazy and make your hair the embodiment of Christmas! This style looks complicated but it’s fairly straightforward as long as you have patience, steady hands and lots of clear elastic hairbands. There’s a 5-minute-long tutorial on YouTube which takes you through this creation in stages. 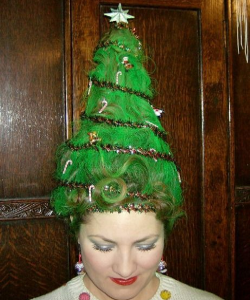 Go green and mould your hair into the shape of a Christmas tree complete with tinsel, baubles and star. Find out what you need and how to do it. It’s basically all about temporary colour hairspray and gathering your hair around a cone structure on your head with lots of pins and hairspray to keep it in situ. 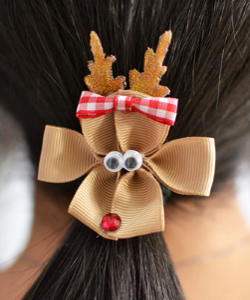 All this style needs is a bun doughnut, hair clips, and decorative pieces for Rudolph’s eyes, nose and antlers. Read this step-by-step guide to learn how to achieve the look. 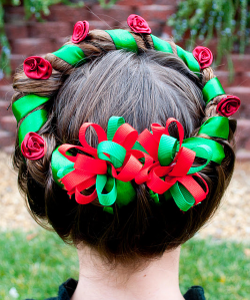 Deck your hair with red and green accessories to emulate a Christmas wreath. Discover what supplies you’ll need – ribbons, pins, clips and the like – and how to get the basic structure in place using an angel halo twist. If you’re challenged on the hairstyling front, choose something simpler as an alternative. 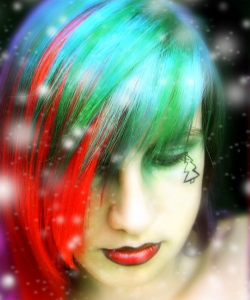 As red and green are the staple colours of the Christmas festivities, use some temporary dyes for vibrant rainbow hair instead of attempting any complicated hair-raising designs. 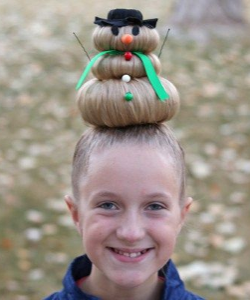 Even easier, why not pop to the shops and buy a special Christmas-themed adornment for your hair? There are all manner of hair accessories in various popular high street stores. You could even embrace your inner creative streak and make your own hair decorations. 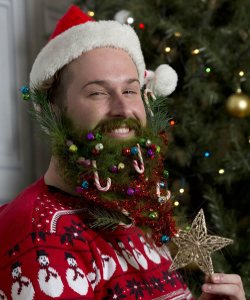 Finally, not forgetting the male contingent who can dare to experiment with special seasonal hairstyles and unique beard attributes to really get into the festive spirit. 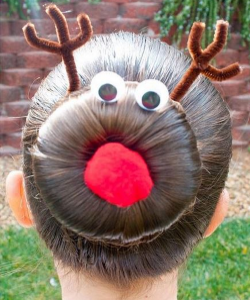 The Hairdrome website has everything from Christmas trees and glittery colours to reindeer scenes and snowflakes. 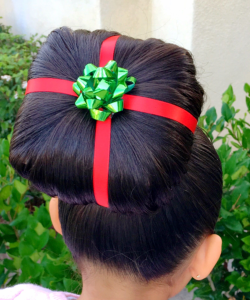 The last thing you need in the countdown to Christmas is a hair disaster. Whatever your plans for the holidays, be it partying long into the night with friends or chilling at home with family, looking good is top of your wish list. When visiting a hairdresser, choose wisely and direct carefully. If doing your own treatments, follow instructions closely and don’t over-process your hair. Should you fall foul and your hair’s ruined, contact us for professional, confidential legal advice. Our initial consultation is completely free. Email enquiries@hairdressingclaims.co.uk, call 0800 970 9102 from a landline for free, phone 0333 202 6560 from a mobile or complete our online enquiry form.